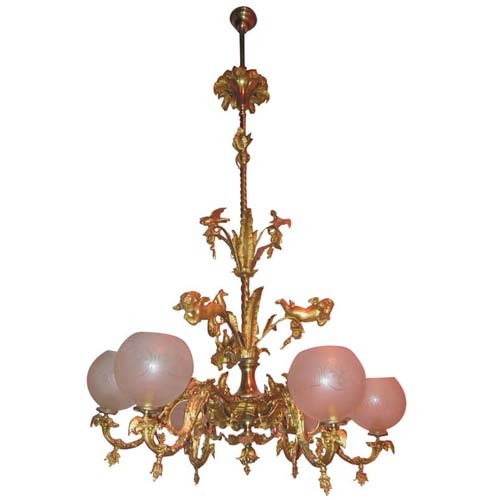 Gas Chandelier, Rococo 6arm 84"
An elaborate Rococo Revival gilt bronze six-arm chandelier. 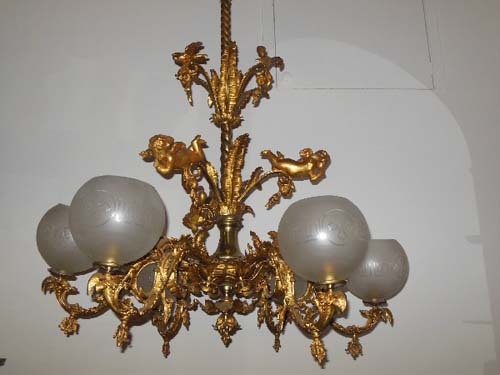 This fixture came from a southern plantation in Ky. which conjures up images from Gone with the Wind. 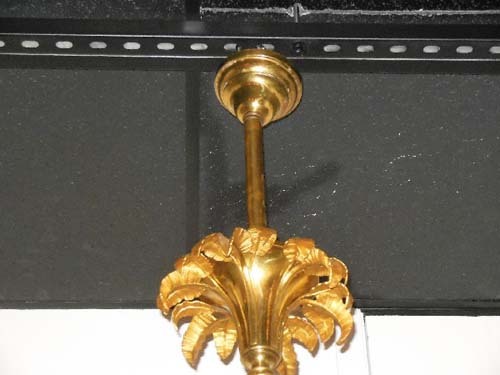 The fixture can work today in a several story entry way as it is 84" tall. 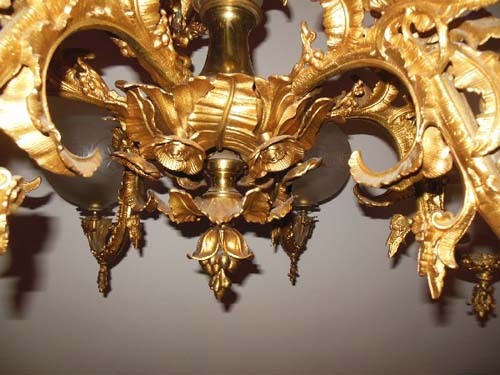 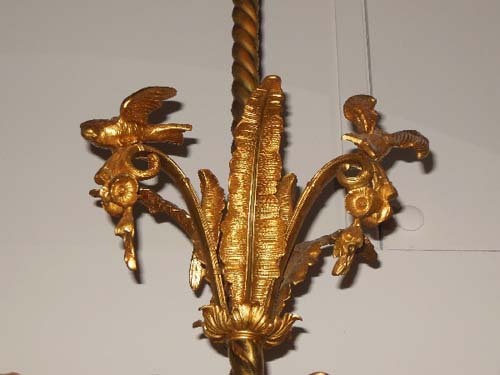 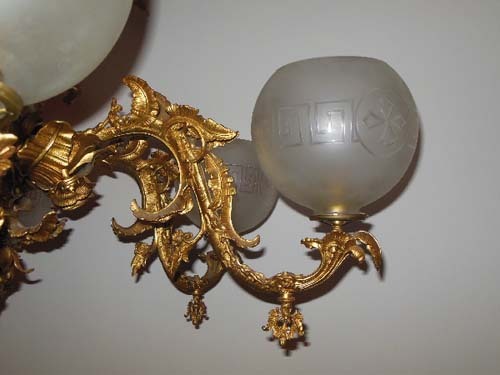 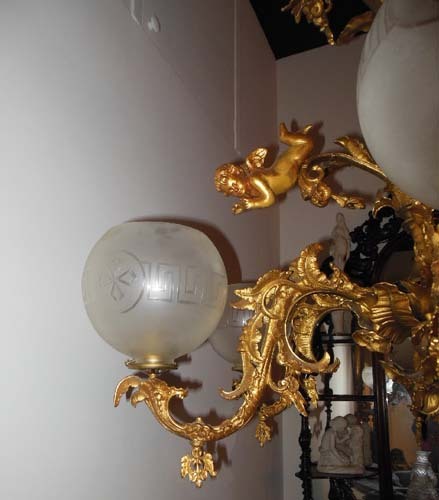 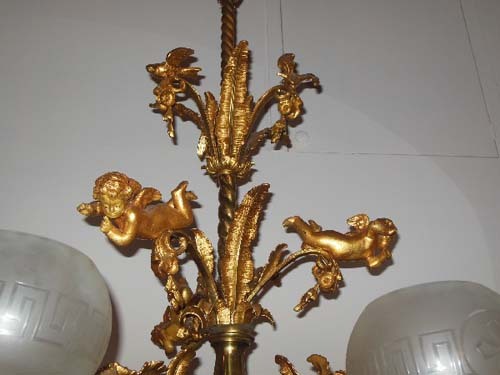 The detail on the fixture is of ruffled leaves, birds, flying cherubs and roses.